Commencing countdown for High 5 Casino’s 267th game! Upcoming launch for this interstellar adventure is blasting off tomorrow! 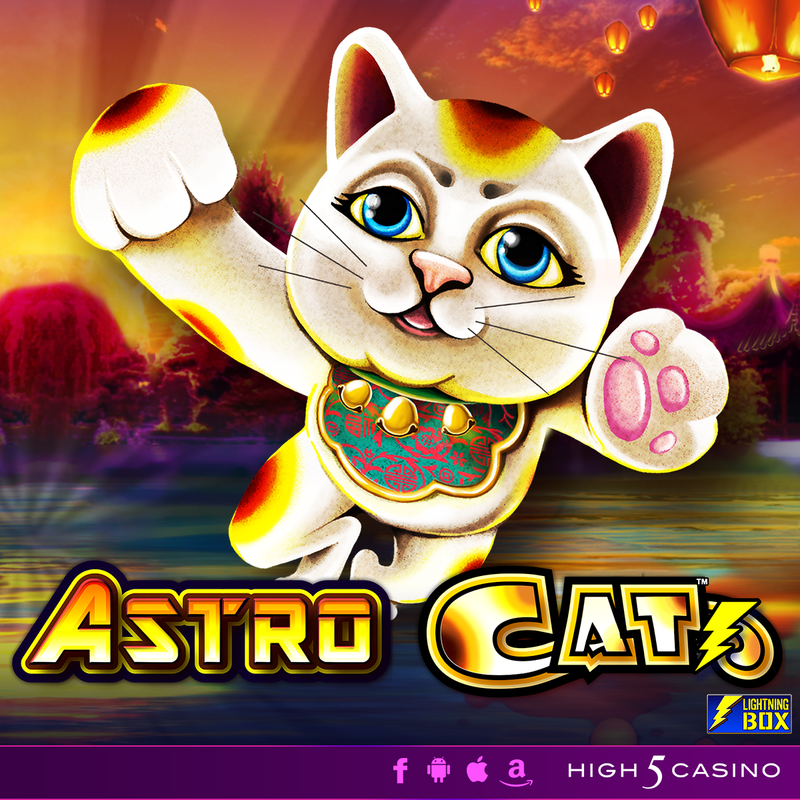 Join this Japanese cat on her intergalactic adventure to a mysterious eastern continent in a faraway galaxy. Become engulfed as you fly on through this cosmic city in search of your lucky Chinese totems. Wins will be bursting out the reels as you set under the temple roof and enjoy the picturesque views of the interstellar night sky and vivid skyline! Are you ready for Locking Wilds, Reelfecta, Mega Spin, and 1296 Ways brighten this intergalactic adventure with out of these world jackpots? Comment in the conversation bubble located on the top right corner of your screen and let us know what you think!